Share the post "Bonham’s Fall Auction"
It’s show house season and this year WestEdge is proud to be a partner of two Los Angeles area show houses, the Wattles Mansion Designer Showcase and the Pasadena Showcase House of Design. First up is the Wattles Mansion Showcase which will be unveiled this week and is open to the public March 23-April 16. The 2017 theme, Hollywood History: The New Classics, will demonstrate through interior design how to reinterpret a historic home for today’s contemporary lifestyle. The magnificent Wattles Mansion was built in 1908, and was the original home of famous financier Gurdon Wattles who bankrolled much of early Hollywood. It’s a classic Mission Revival masterpiece designed by Myron Hunt and Elmer Grey, who also designed the Huntington Library, the Rose Bowl and the now-gone Ambassador Hotel. 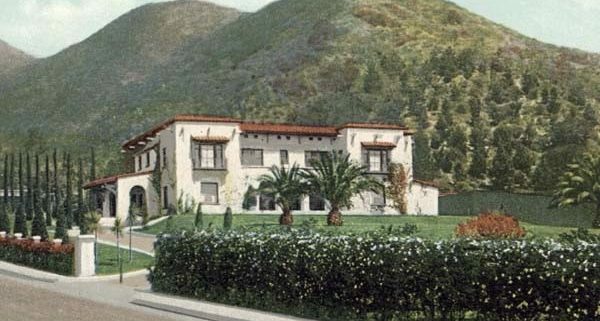 Today the residence, owned by the City of Los Angeles Department of Recreation and Parks, comprises the only remaining example of a pre-film industry Hollywood estate. It continues to receive lasting improvements to help preserve its status as one of the finest turn-of-the-century estates in Hollywood. 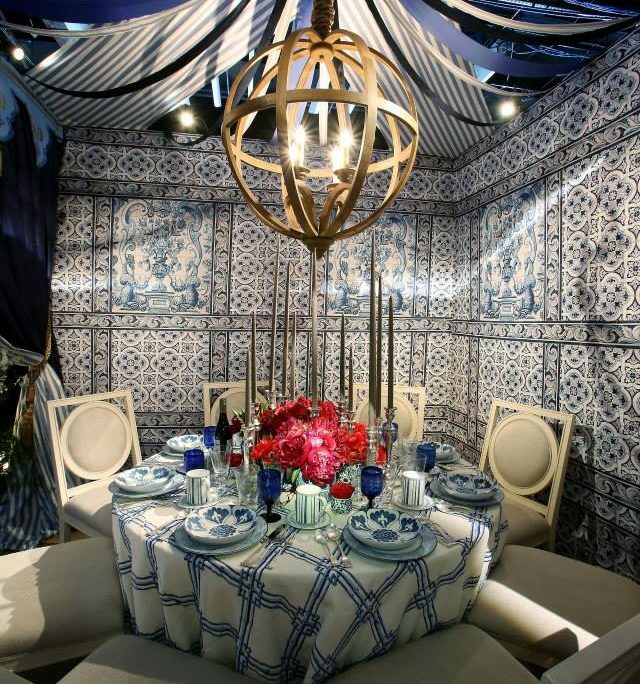 Participants this year include such noted designers as Woodson & Rummerfield’s House of Design; Melinda Ritz and Mae Brunken on behalf of the Set Decorators Society of America; Patrick Dragonette; David Dalton; Ryan Saghian; Winslow & Cohen; Kym Rodger; Nicole Gordon; Fernando Diaz; Anna Hoffman; Victoria Reitz; Leslie Shapiro Joyal; Jessica Brende; Kelley Jackson with the generous support of Ofir Grushkovski, owner of Future Home Builders; Kathleen Beall and Williams Sonoma Home. Sponsors include Snyder Diamond, Sherwin Williams, Sub-Zero Wolf, LAYKIN et Cie, City of Los Angeles and City of Los Angeles Department of Recreation and Parks. In addition, this year’s showcase house will benefit three charities: No-Kill Los Angeles (NKLA), Save Iconic Architecture Projects (SIA) and Los Angeles Parks Foundation. The Wattles Mansion will be open Thursdays through Sundays through April 16, from 10:00 AM to 5:00 PM. Admission is $40 per person and groups of 20 or more will be $35 per person. For ticket sales, visit reitzhausproductions.com or wattlesshowcase.com. Share the post "Wattles Mansion Designer Showcase 2017"
We’re less than one week away from the 20th anniversary celebration of DIFFA’s DINING BY DESIGN! 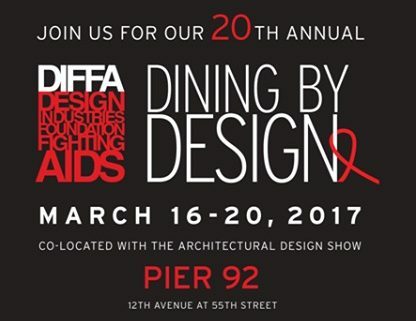 This event is always a highlight of the March NYC design calendar and this year should be a blow out party as DIFFA celebrates 20 years of their signature fundraising event, DINING BY DESIGN. 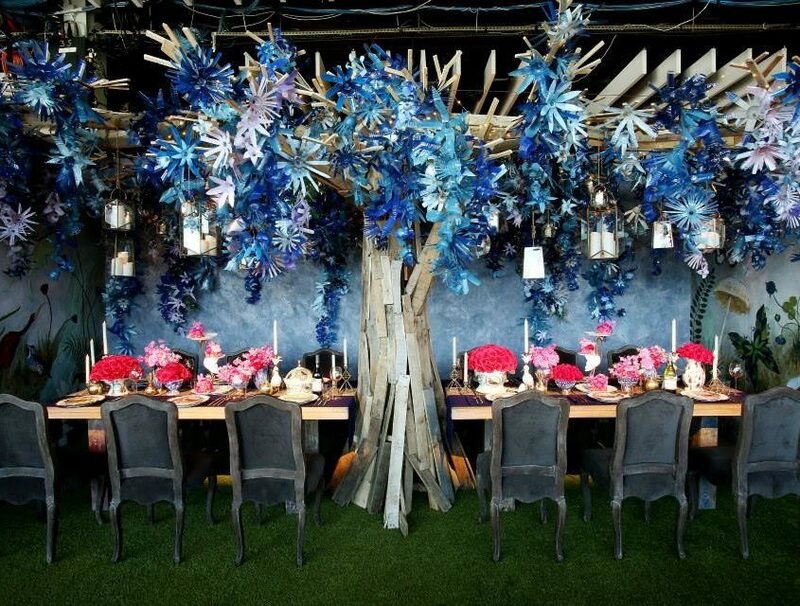 DBD features colorful and inspiring dining table installations; it’s a fun chance to see some of the most creative folks in the design industry bring their out-of-the-box ideas to the table (pun intended), all to support DIFFA’s HIV/AIDS advocacy work. The party kicks off next Thursday, March 16, with Cocktails by Design at Pier 92. Tables will be on display and open for public viewing through Sunday, March 20. And DBD runs alongside the Architectural Digest Design Show so there’s even more to see once you make your way to the Piers on NYC’s west side. And, be sure to check out the silent auction online HERE. Even if you can’t make the event, you can still support the cause by placing your bid to win some great items, including a weekend stay in Santa Monica and all-access passes to WestEdge in October (courtesy of Yours Truly). Below are a just few of our favorite DINING BY DESIGN tables over the last few years. We guarantee we’ll have more favorites to add to our list after next week! 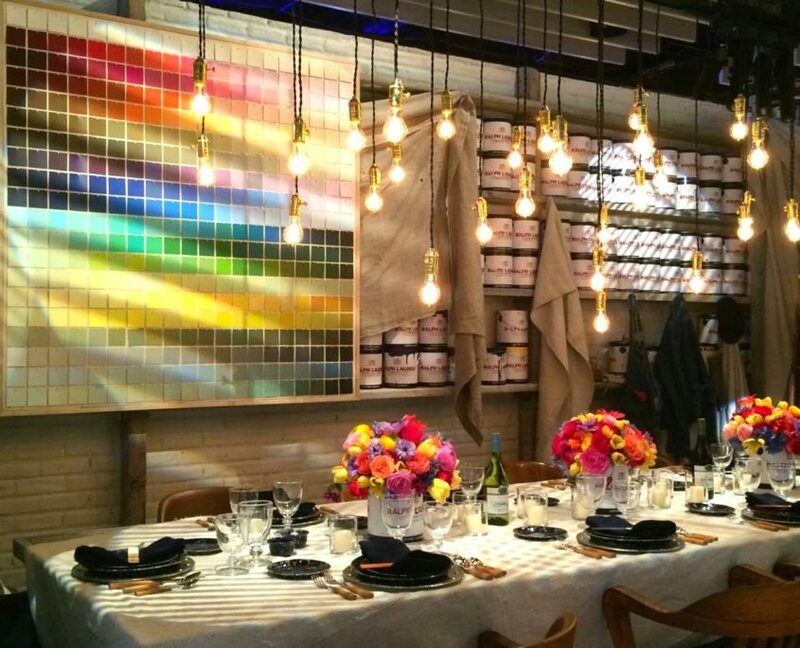 Follow DIFFA and WestEdge on Instagram next week to see more dining table inspiration. 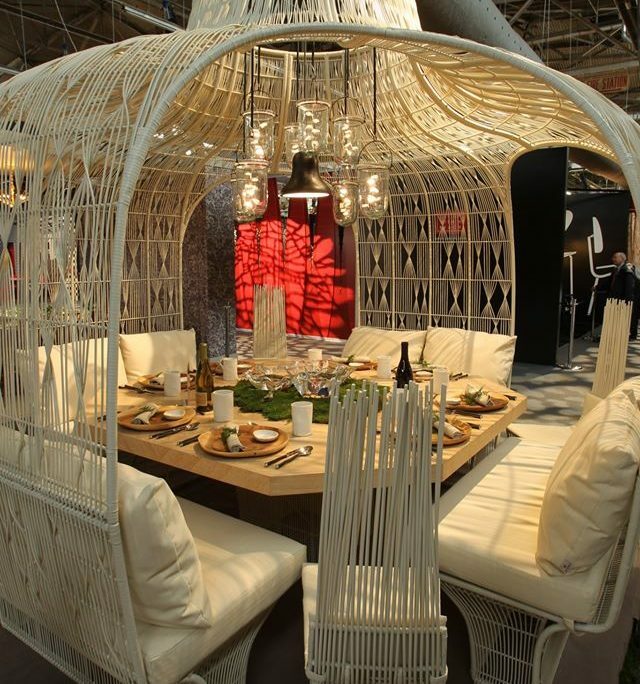 Share the post "Countdown to DIFFA’s Dining By Design NY"
What’s this WELL Standard I Keep Hearing About? We’re pleased to welcome Jennifer Berthelot-Jelovic to WestEdge this Friday, November 4. She’ll be presenting Introduction to the WELL Building Standard: How It Can Benefit Your Projects and Clients in the Jenn-Air Master Class Studio. Below Jennifer sheds light on what this WELL Standard is about and what it means for all of us. We spend 90% of our time indoors and sitting is the new smoking. Worse yet, physical inactivity is the 4th leading risk factor for mortality. So what can we do about it? In October of 2014, after years of development; The WELL Building Standard™, also known as WELL, was released as an evidence-based system for measuring, certifying and monitoring the performance of building features that impact health and well-being where we live, work and play. WELL takes a holistic approach to health in the built environment; addressing behavior, operations, policies, procedures and design. Much like LEED was created to measure and verify how healthy a building is for the planet; WELL was created to measure and verify how healthy a building is for the people. “Design for Healthy Behaviors” is ranked #1 as both the most transformative and fastest-moving sub-trend of the Health and Well-Being macro-trend,” reported ASID Industry Outlook, 2015. Research also shows that most employers are already offering health and wellness programs or initiatives, or plan to start providing them in the near future. WELL focuses on seven concepts: Air, Water, Nourishment, Light, Fitness, Comfort and Mind; while using behavior, operations and design to drive the measurement and verification for these concepts. WELL is like a nutrition label for your building, providing transparency on the quality of our built environment. We don’t want to design buildings that are obsolete before they are finished with construction! If you are familiar with LEED, WELL is extremely complimentary. Certifications for both are administered by the Green Business Certification Inc. (GBCI). WELL can be implemented alongside other rating systems such as LEED or Living Building Challenge; however, WELL also stands very solidly on its own as a Standard. One of the highlights of WELL is that it is performance-based and focuses on meeting the intent, as opposed to being prescriptive and meeting a requirement. There is much less paper documentation required by WELL, versus other rating systems. WELL also uses performance verification audits to do on-site testing, visual inspections and spot checks; to ensure projects meet compliance. Another benefit of WELL is that it does not separate Existing and New projects. There are standards and pilot programs aimed at a variety of situations. If you want to check these out, please click here https://www.wellcertified.com/. WELL is administered by the International WELL Building Institute™ (IWBI), whose mission is to improve human health and well-being through the built environment. WELL is not about ‘Healthy just for the Wealthy’. Thus, IWBI was set up as a Public For Benefit Corporation requiring IWBI to donate 51% of their profits to health and wellness housing initiatives in local communities and highly impacted/stressed international communities. WELL is all about healthier, more productive places for people and is a confluence of Medical Science, Building Science and Business Science. WELL is an evidence based, peer reviewed Standard that is 3rd party administered by IWBI. And its believers are impressive! Beginning November 4, 2016, U. S. Green Building Council (USGBC) CEO and founding Chairman, Rick Fedrizzi, is joining IWBI as CEO and Chairman of its Board of Directors. Rick brings with him decades of developing and implementing rating systems for the built environment such as LEED, all around the world. There are a lot of different reasons people consider doing WELL certification. Some companies or multifamily residences are looking to attract the right employees, clients or tenants. Some companies are looking to retain the people they have who might have a high cost to replace them. Some companies are looking to do fewer negatives; while some companies are looking to do more positives. Companies are looking for better ideas, fewer sick days, reduced presenteeism, higher return on investment, employee longevity, increased learning potential and more. WELL provides a true benefits differentiator for those who achieve certification. Many Owners, developers and self-insured companies see the return on investment for doing the WELL Standard. The average company spends 1% of its annual budget on Energy. Approximately 9% of that annual budget is spent on rent and operations. That same budget focuses 90% of its allocations to the People. From salaries, to benefits, to insurance, we spend most of our money on the people. Where we work, play and live matters! WELL is providing a path to increase our ability to be healthy and productive, regardless of where we spend the majority of our time! ~ Jennifer Berthelot-Jelovic is President & CEO of A Sustainable Production (ASAP); a woman owned, full-service, global sustainability and wellness consulting firm based in Los Angeles, CA http://www.sustainpro.org/. She serves on the Board of Directors for the U.S. Green Building Council-Los Angeles chapter (www.usgbc-la.org) and is a WELL AP, LEED AP BD+C, LEED AP Homes, and USGBC LEED & WELL Faculty. Share the post "What’s this WELL Standard I Keep Hearing About?" //www.westedgedesignfair.com/wp-content/uploads/2016/11/image018_JENNB-DelosWebsite.jpg 635 1154 Megan Reilly //www.westedgedesignfair.com/wp-content/uploads/2018/11/WestEdge-Design-Fair-2019-logo.png Megan Reilly2016-11-02 08:38:042016-11-03 06:18:04What’s this WELL Standard I Keep Hearing About? 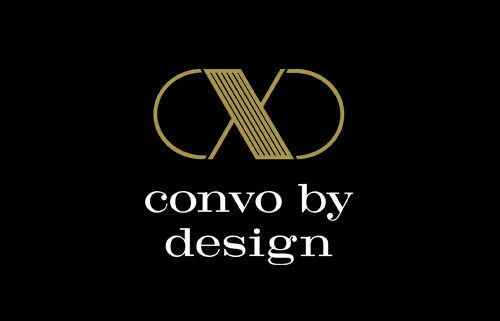 Share the post "Convo By Design Social Lounge"
We just arrived in NY yesterday and are thrilled to be back for the many design events that comprise NYC Design Week, officially called NYCXDESIGN. We will be drinking lots of coffee (and cocktails) to power through 7 days of design happenings in all different shapes and sizes (and NYC neighborhoods). This year, for the third year in a row, we’re aligned with WantedDesign as an industry partner. 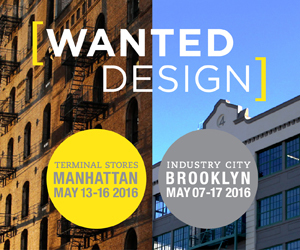 WantedDesign opened their Brooklyn show last week (which runs through May 17) and opens WantedDesign NYC this Friday, May 13 at the Terminal Store (269 11th Avenue between 27th and 28th street St.). WantedDesign NYC runs for 4 days so that should give ample time to get down to Chelsea to experience all there is to see and learn (don’t miss the design conversations hosted by Metropolis Magazine). One of our favorite sections of the fair is Launch Pad, an initiative for emerging designers and their market ready prototypes who are hoping to catch the eye of manufacturers interested in producing their design. 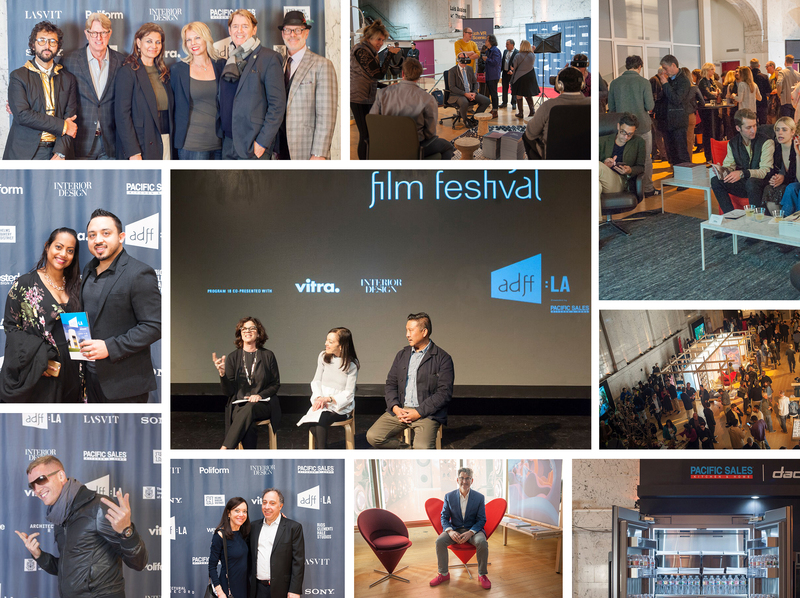 A jury of professionals will review the 30+ projects and award the best one with the “Launch Pad Best of 2016” award. The winner will receive the opportunity to exhibit at WestEdge in November, a special feature on Design Milk, a $2500 cash prize courtesy of Design Within Reach and an in-person design meeting with DWR’s Director of Merchandising. AND new this year, you can vote on your favorite Launch Pad exhibitor online here. Voting runs through May 16 so let us know your favorite and, of course, come check out this talented group in person. 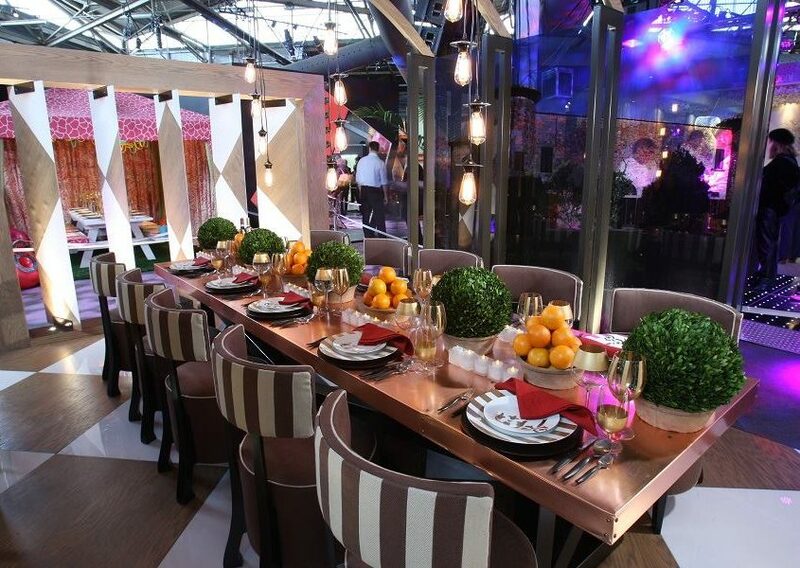 We’ll be raising a glass with the designers and celebrating the winner on Monday, May 16 at the show. Follow us on Instagram for updates. Share the post "Launch Pad at WantedDesign NYC May 13-16"
Share the post "A Beach Chic Opening Night Party"